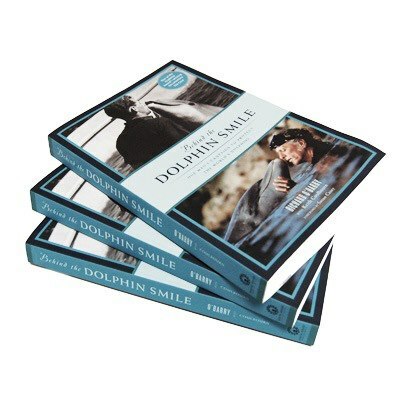 Behind the Dolphin Smile, Ric O’Barry’s classic book, chronicles his experiences with Flipper and his change of heart to protect dolphins from captivity. This new edition includes a foreward by author Susan Casey and a preface about Ric’s campaign and his role in the Academy Awarding® documentary The Cove . Richard O’Barry, founder of the Dolphin Project Inc., is a world-renowned advocate for dolphin freedom. He starred in the Academy Awarding®–winning documentary The Cove and in his son Lincoln O’Barry’s television series, Blood Dolphins , on Animal Planet and Planet Green. He lives in South Miami, Florida. Keith Coulbourn is a mystery writer and former newspaper journalist. He lives in Miami, Florida. Susan Casey is the author of The Wave: In Pursuit of the Rogues, Freaks, and Giants of the Ocean , and The Devil’s Teeth: A True Story of Obsession and Survival Among America’s Great White Sharks . She is the editor-in-chief of O, the Oprah Magazine. She lives in New York City and Maui.